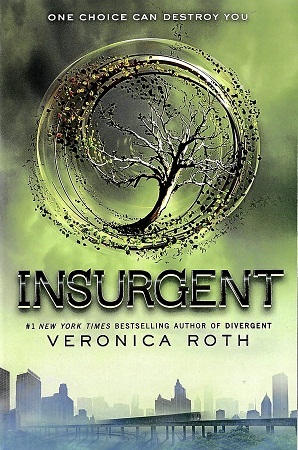 I finished reading “Insurgent” by Veronica Roth. Currently on book three. I really enjoyed Insurgent! However, I’m reading Allegiant now and I feel it’s just… lacking. I think it’s the poorly-written dual perspectives. They’re so similar that it’s actually difficult to tell who’s speaking, which shouldn’t happen. Whew! I’m having a hard time with the dual perspectives too. I often flip to the beginning of the chapter to see whose head I’m in. I do like how there is no time lapse between Divergent and Insurgent, and Insurgent and Allegiant.